BIN files is one of CD / DVD image formats. BIN file is a binary copy of an entire CDs / DVDs disc. BIN file contain ALL the data stored on the original disc including not only its files and folders but also its system-specifics information, for examples, bootable information, volume, volume attributes and any other system-specific data. A .BIN image file is not a collection of files or folders but is an exact duplicate of the raw data of the original disc, sector by sector. 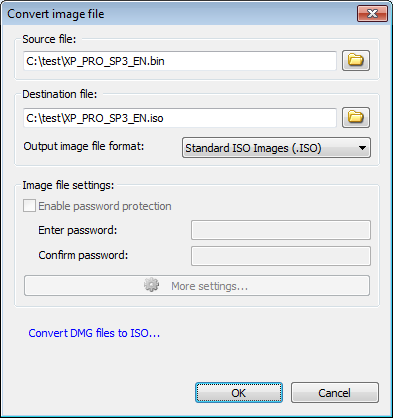 PowerISO can convert bin file to standard iso file. Choose "Tools > Convert..." Menu. 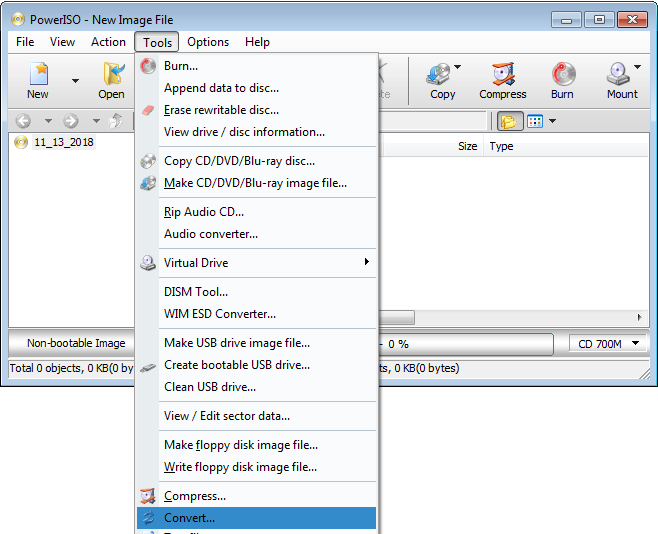 PowerISO shows Image Converter dialog. Choose the source bin file you want to convert. You can also select the cue file. Enter the output file path name. Click "OK" button to start converting bin file to iso. 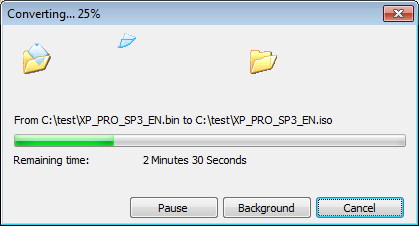 PowerISO will show the progress information during conversion. After the bin file has been converted successfully, you should receive a message, "Converting image file completes successfully".